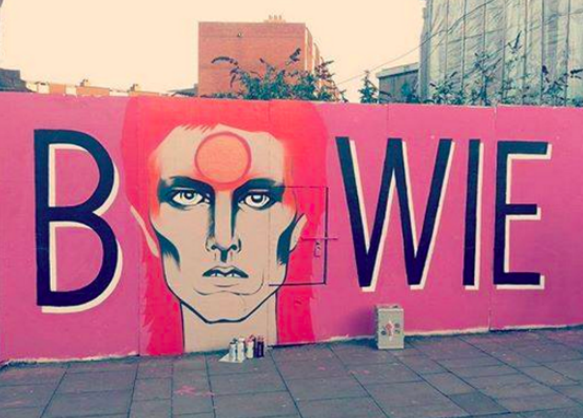 A friend in Dublin, Ireland sent me the link to this mural of Bowie as Ziggy Stardust, which just went up in his neighborhood. I think it’s beautiful. You can read more about the mural at This Link! Thanks to Finbar Hall for the Tip!